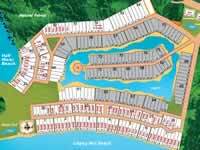 The project includes 3 different locations where plots for the villas can be bought. 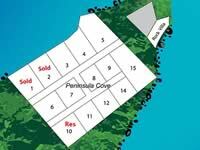 The smallest one is the "Peninsula Cove” where only 15 plots are located. 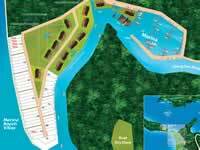 The most plots are available at the "Lagoona” where the 2 beaches, the small "Half Moon Beach” and the big "Chang Noi Beach” are located. In the middle the lagoon will be build. The 3 location is the "Marina” where the yacht harbour will be. The plot size varies according to the house type from 200 to 1,600 square meters. Planning and interior design will be adjusted to your own specifications. For a better view of the plot plans you can enlarge them into an own windows. Simply click with the mouse on one of the plans. We will be pleased to send you the land prices on request. 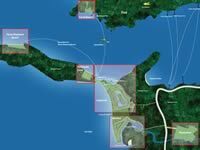 Land in Thailand is measured in Rai, Ngan and Talang Wah. 1 Wah = 4 m²; 1 Ngan = 100 Wah or 400 m²; 1 Rai = 4 Ngan or 1600 m². We reserve the right to change any specifications at anytime without prior notice. Plot sizes are subject to final survey and may vary by 5 %. Length and width are average length and width of the plots.